Tip: This thread is best viewed in the old forum style. Contains large images. As some of you who were in the old VU chat may have noticed, I have spent the last 3-4 hours working on converting the 2D VU map into a 3D map. What this entails is going over each feature and hand-painting them in different layers (mountains, plains, and then a black base-layer of water). I have completed a first version, which is not even close to done, and I really want to share it, as I am about to go off for the night. This was more of a novelty "for fun" project, but I hope to find some neat use for it in the end. I am going to fix the coast. 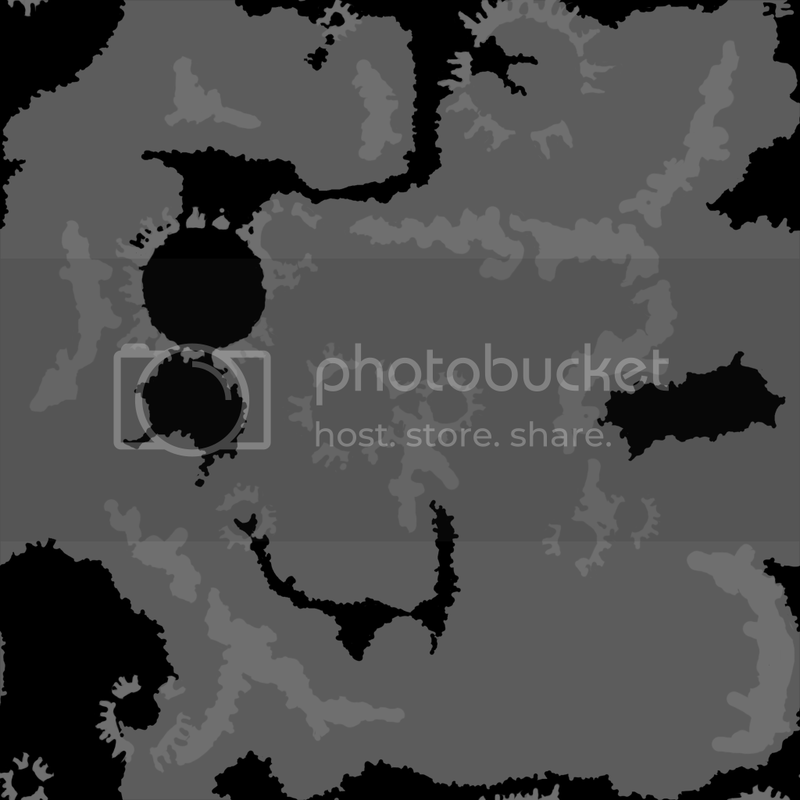 Below the render images is the 'height-map' image, or what the program used to create the image in its various stages: terrain paint, mountains paint, and final. That's awesom. Good work. 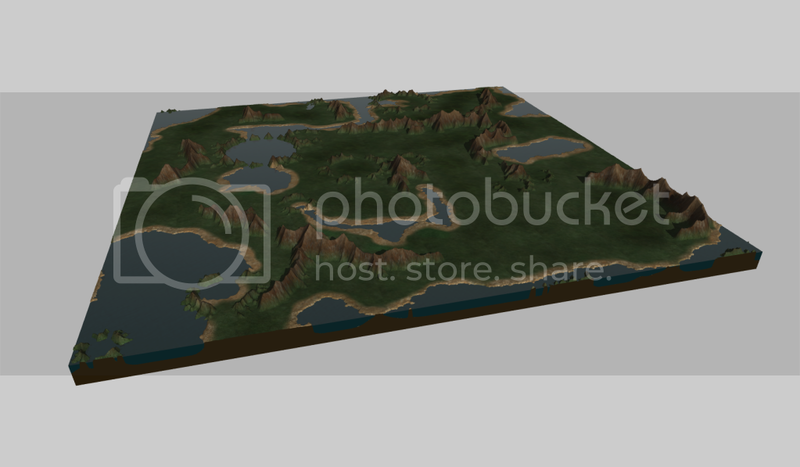 ^^ Need to make some little 3D cities to put on there. lol Oh and trees. lol. They may just be a bunch of L1 or L2 cities. If only those talents were shown through his gameplay. I for one don't want a 3d VU. This has nothing to do with Zeta... he probably doesn't even know this thread exists. And anyway, there's no such thing as a 3D browser-game unless you use something like Java or a download client... which is something I doubt Zeta feels like doing, as that would be rebuilding the game from scratch in a new language and with a new concept. At best, this experiment would mean an optional new map or series of maps/graphics that are unaffiliated with the VU administration. Anyway, here's the latest version of the map. I plan to add some trees and such today. Yeah, there's still a lot of work left too! Yeah, though... I will run some saturation changes and such in photoshop on the finished render. If someone were to design a new map, would you be willing to put it into the game? This type of map is hard to make from scratch, as you really don't know where you want things and such until you finish it... and then you realize that this mountain is wrong and this forest cuts off passage, etc. I could try to make a new map, but just know that I am not all that experienced in map design. 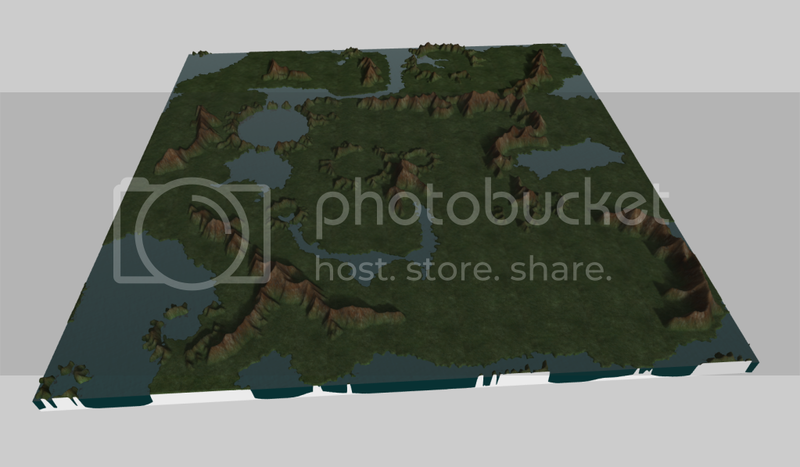 If someone else wants to make one, I can cast it up as a heightmap and then work from there. So yeah, if someone could make a template that would be great. Stick to your binaries in size (a.k.a. the squares of 2; preferably 2048x2048 or 4096x4096), so it's easier for me... Make it however you want. 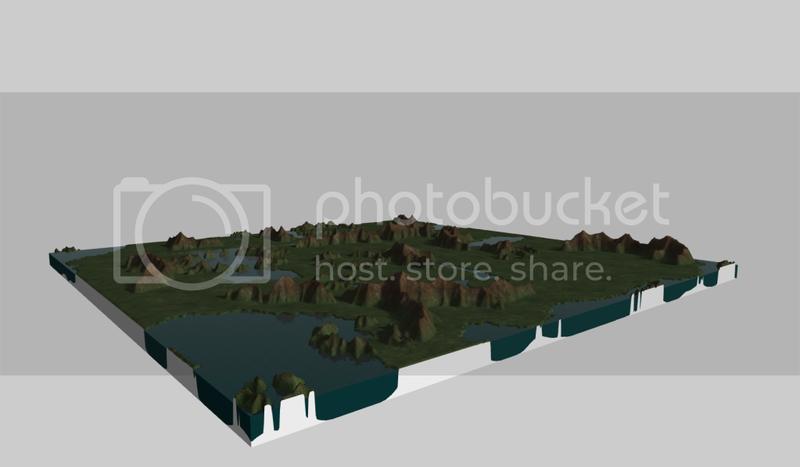 If you can model it after my templates (the middle one) up at the top (with mountains and grasslands on two different layers; top view, no prospective), and send it to me in a .psd, then it will be a lot easier, as most of my work will already be done. However, if you can't do that, just a big color-coded image will work. If I don't see any replies with ideas in a week, I'll work on designing a new map myself. You used "Rhino" to make this? I think this is great BUT VU is meant to be able to be played on old/slow pc's etc. If there was an option in settings for 2d/3d map then it will be great. This has nothing to do with Zeta... he probably doesn't even know this thread exists. Does zeta even know VU still exists? I don't think making the map 3d would help game play though. 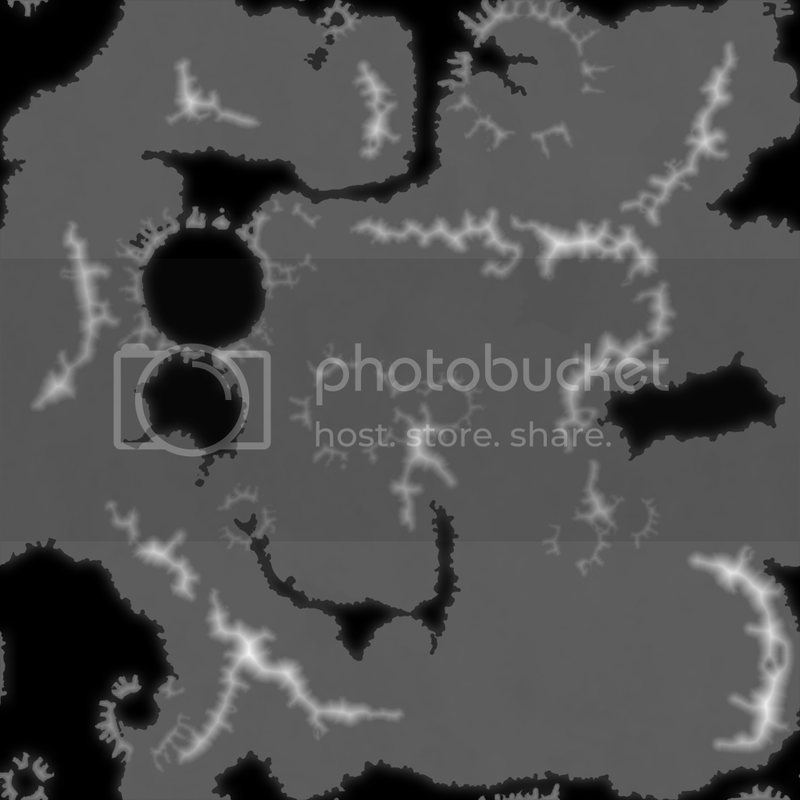 We could add changing terrains like trees growing and altitudes, but that could also be done with tiled images. * There are 3d browser games now, but they use plug-ins like flash (witch doesn't support open GL). Or changing seasons. I'd like to see a winterised VU... or maybe just ice and snow at the north and south?? Ty for changing my post, whoever did it. So, how would a flash battle work in Visual Utopia? Every army has a melee unit and a ranged unit. 3 races have cavalry. 3 other races have soldiers with extra hit points and strength. Could it be that with ranged units, you can alter attack types? Archers: can light arrows and burn buildings as well as shooting rope arrows. Slingers and Rock Throwers: Can heat pellets and use ropes with rock-like anchors on the ends. Knights are heavy infantry that have strong defense and are good at charging and attacking. Riders are fast and light, but have poorer defense and can use arrows if they want to. Pony Riders are very small and fast targets, making them effective when routing and outmaneuvering. They could be equipped with crossbows. The other three units that are not cavalry have extra health and defense as well as strength. They can throw weapons as well as breaking buildings. Try to put this on the sugs forum. Total War: Battle on full 3d real-time-tactics gameplay. Total War: command army direction by a single click, but vulnerable to path crossing. Visual Utopia: Every team has a team leader that is playable. Total War: Not everybody governed by the same person is going to get along. Teams are organized by diplomats and are ruled by diplomatic actions, while the only "team leader" in the Total War series has been the Pope for only one side in only two games. Total War: Armies up to 20 units with generals. Where is the sugs forum?